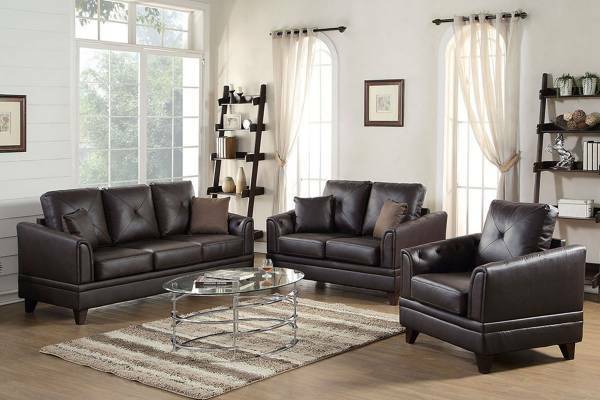 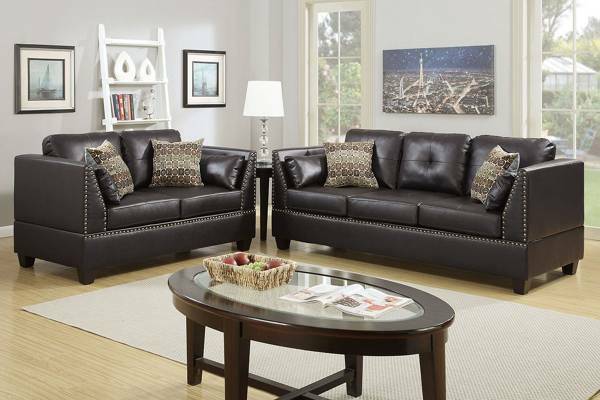 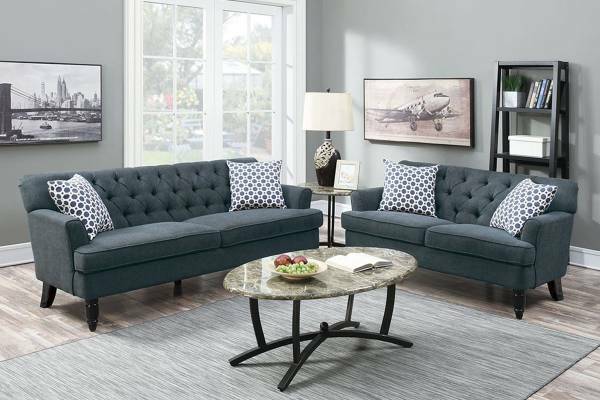 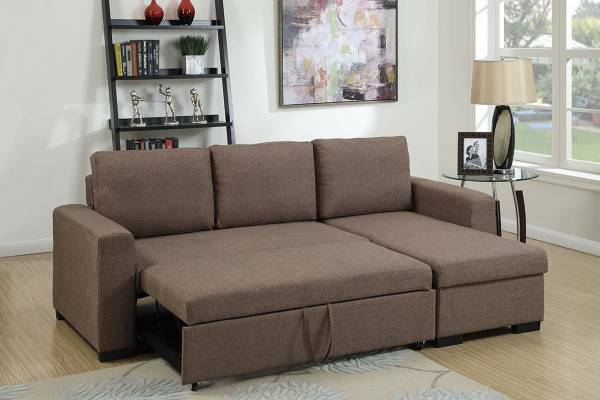 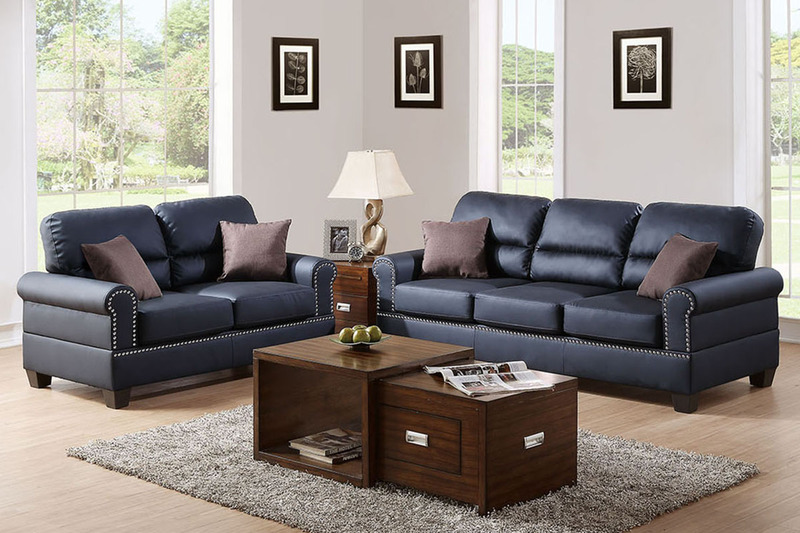 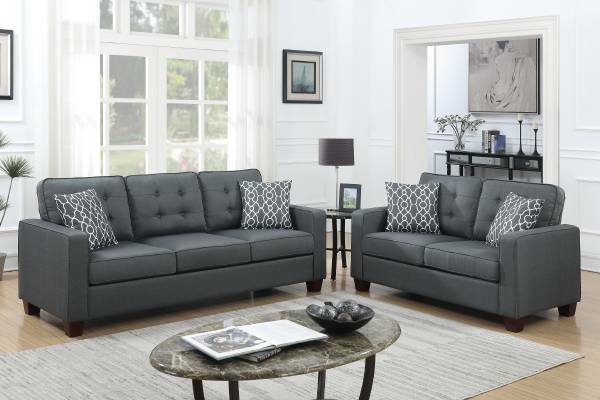 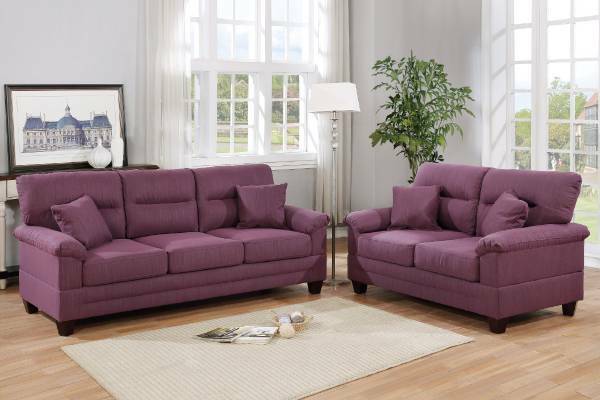 Enjoy elegance with the comfort of this 2-piece sofa set that features plush pillow double barrel styled back and seat rest trimmed in nickel finished buttons. 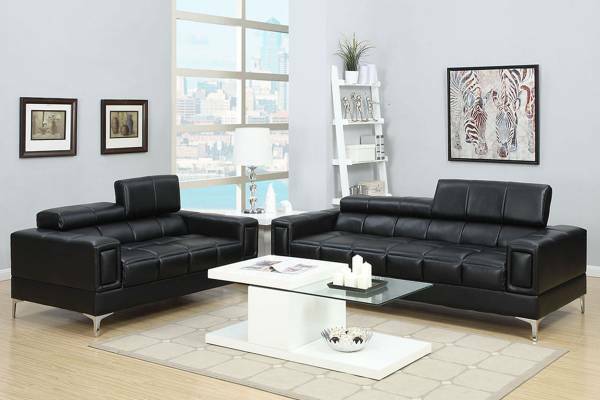 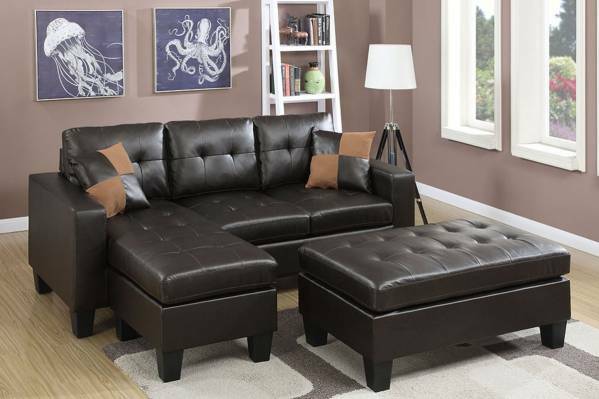 Available in bonded leather in black and espresso. 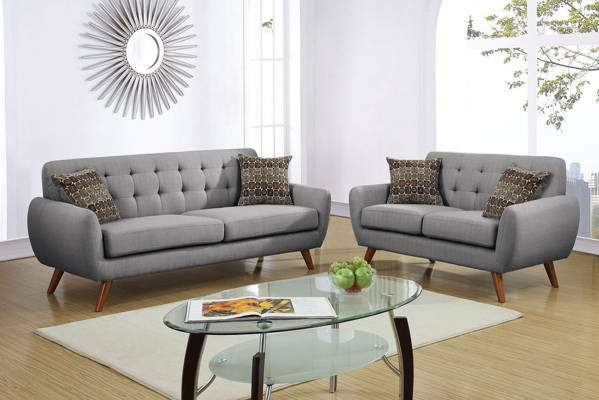 Also available in a linen-like fabric in sand and grey.